The Museum has three main displays: Tales of South Tyneside explores the local and social history of the area during the twentieth century together with the lifetime achievement of sucessful local author Catherine Cookson. Art Adventure takes a fresh approach to the interpretation of many of the museum's paintings. Changing Faces charts the history of South Tyneside from the Bronze Age to the twntieth century through the Museum's archaeological, natural and historical collections. 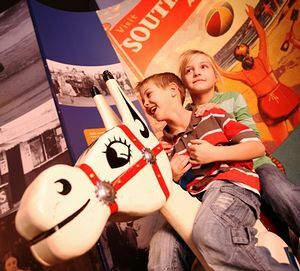 The Museum has regual exhibitions and a range of activities and events to suit all ages. 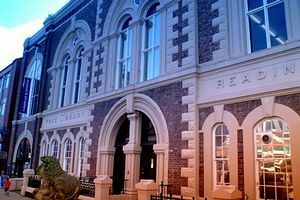 South Shields Museum is located on Ocean Road in the heart of the town. The nearby Metro station and main bus station are a two minute walk. Public car parking available around the town centre.